You’ve taken the leap and decided to set up a website of your own. Even with all the bells and whistles, a beautiful design, and killer content, you’re still going to need to find the right hosting for your website if you want it to perform. Before deciding which type of hosting to go with, think about the identity of your site and what you’re going for. Do you have a well-established company and you’re building an online store that you expect to have major traffic? Do you need a hosting option that’s scalable? Are you building an online site to showcase your artwork or your business, but don’t expect massive traffic? 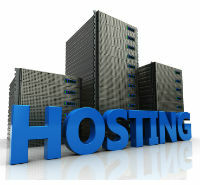 The 2 main options for website hosting are shared and dedicated. For sites that don’t have a massive amount of traffic, a great option is shared hosting, so take a minute and see what it’s all about. Most of us at some point—maybe in college or before you had kids—lived in an apartment building. There were shared facilities and a manager, but within the overall shared space, you had your own little corner that was squared away just for you. The same concept applies with shared hosting. A hosting company has multiple websites—sometimes hundreds or even thousands—that pay to use their servers, which are managed by the company. The hosting company splits the bandwidth between all of the different websites, which split the overall costs of the server, much like tenants in a complex each pay their share of the overall building costs. And while you don’t have the server all to yourself, you also don’t have to worry about managing it, which can really save you some headaches, especially if you’re new to having your own website and don’t have the time or know-how to deal with server issues. Why Go with a Shared Hosting Plan? A shared hosting plan is a great way to get up and running, with less of the costs and responsibilities that often come with running a website. Saves Money: Because you’re sharing the server with multiple websites, a shared hosting plan is usually significantly cheaper than a dedicated hosting plan. For instance, on BlueHost, you can get on a shared plan for as little as $2.95 a month, while a dedicated plan on BlueHost costs at least $79.99 per month. On iPage, shared hosting is $7.99 per month (or $1.99 per month under a special offer), but with dedicated hosting, the cheapest option is $119 per month, and with VPS (virtual private server), the cheapest is $19.99 per month. For a website just starting out, that doesn’t perhaps need the same performance levels, that might just make all the difference. Technically Managed: If we’re sticking with the apartment complex analogy, imagine when you had a busted pipe or a shorted light at your apartment complex. You called the landlord and it was up to them to settle that mess. With shared hosting the same principle is at play: if there are any problems with the servers, you can reach out and contact the hosting company directly, meaning you’re always just one phone call or email away from professional assistance. Saves Time: A small business that’s just getting online probably doesn't have an IT department to take care of such issues, nor the time to devote to technical issues. Maintaining a website when you’re not sure of the technical side of things can be a full time job in itself. So, by opting for a shared hosting solution from your provider you won’t just be saving money, but saving time as well. Scalability: If your site becomes too big for the server, you may incur charges before it becomes apparent that you need to upgrade to a VPS or a dedicated server. If you see your online business or your web presence in general growing at a rapid clip in the near future, you might want to go ahead and opt for a VPS or dedicated server. Speed: Shared sites run fast and perform well, but performance and speed for dedicated server sites tend to be higher, and for obvious reason. As the only site on the server, a dedicated server website won’t have to compete with any other websites hogging the bandwidth. With dedicated hosting you tend to have higher speed and better performance than shared sites, and your site will probably load faster as well. If you’re running an online store this can make a big difference, and could potentially even lead to customers ditching their carts before checkout. It’s up to you to determine what type of speed you need for your site, and whether or not a shared site will be enough for you. Control and customizability: In a shared hosting situation, you’re living on somebody else’s property. Just like you’ll need to conform to the co-op board guidelines or the landlord’s rules, on a shared hosting site, you will only be able to run software programs or utilities that are supported by the host. You won’t have the access needed to customize the server on your own, and if you feel like you need more control over how your site operates, then you might want to consider dedicated hosting. If you’re expecting your site to have high-volume traffic and lots of media, you may find that a VPS or even a dedicated server will fit your needs much better. You’ll run the show, with the ability to make your own changes without worrying about the guidelines of the server provider or your growing traffic needs. Also, assuming you have the know-how, you may prefer that the responsibility for maintenance rest solely in your own hands. Are you about to create your own site? Check out our feature-comparison of hosting companies with site-builders. The Top10 Website Hosting staff is comprised of writers who are knowledgeable about the world of website hosting. Always on top of changes in the industry, our team specializes in simplifying the process of finding the best hosting provider for your website.